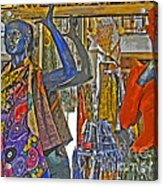 Funky Boutique by Ann Horn - 8.000" x 6.000"
Funky Boutique art print by Ann Horn. Our prints are produced on acid-free papers using archival inks to guarantee that they last a lifetime without fading or loss of color. All art prints include a 1" white border around the image to allow for future framing and matting, if desired. Thank you for your kind comment, Uma. Much appreciated. 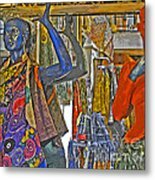 Don, many thanks for featuring Funky Boutique in the Photographic Camera Art group. Lyric, thank you for featuring Funky Boutique in the Out Of The Ordinary group. Many thanks for your complimentary comment, Marion. Glad you like this, Toni. Thanks for letting me know. Beautiful and very colorful presentation, Ann! I like it! Mariola, thank you for featuring Funky Boutique in the 500 Views group. 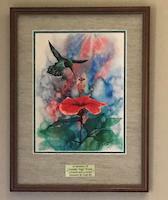 Beth, thank you for featuring funky Boutique in the 500 And Beyond Fine Art group. Many thanks for your gracious comment, Bill. Many thanks for your gracious comment, Teresa. Thank you, Lyric, for your kind congrats and comment. Very much appreciated. 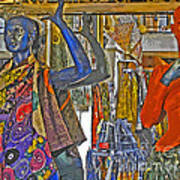 Congratulations your creative and unique art is featured in the "MANNEQUIN and DISPLAY ART" group! Lyric, many thanks for featuring Funky Boutique in the Mannequin and Display Art group. Many thanks for your thoughtful comment, Hartmut. Very much appreciated. Thanks so much for your gracious comment, Anne. Appreciated as always. Susan, thank you very much for featuring Funky Boutique in the Women Photographers group. 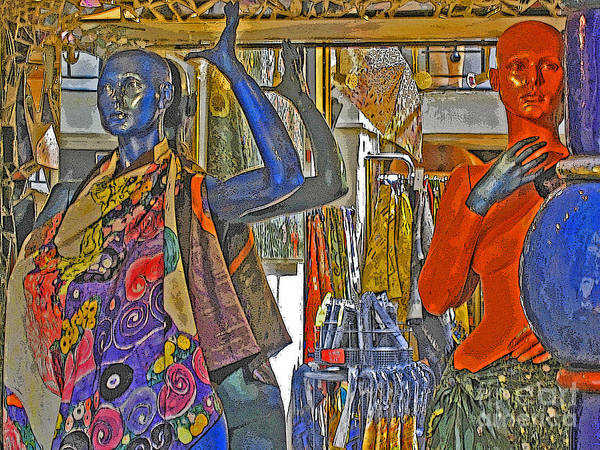 Two artsy mannequins showcase colorful scarves, spotlighted and mirrored in a small boutique. Vienna, Austria. Copyright 2005 Ann Horn. ALL RIGHTS RESERVED. This copyrighted image does not belong to the public domain and may not be reproduced, copied, altered or manipulated in any way without the written permission of Ann Horn. ann-horn.pixels.com. pixels.com Group Features: Photographic Camera Art. Out Of The Ordinary. 500 Views. 500 And Beyond Fine Art. Mannequins and Display Art. Women Photographers. FABRIC and CLOTHING.